For “Digital India” initiative it gives immense opportunities that can be realized in a very short span of time.The alternative to this is physical /broadband connectivity that needs physical infrastructure. 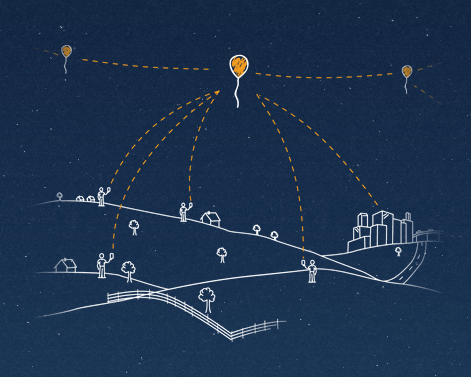 Physical infrastructure takes time to build and includes high maintenance cost.It is easy to float a thousand balloons than to build lakhs of kms of digital infrastructure.The only challenge is the the demand of sophisticated engineering of higher order needed for Project Loon. 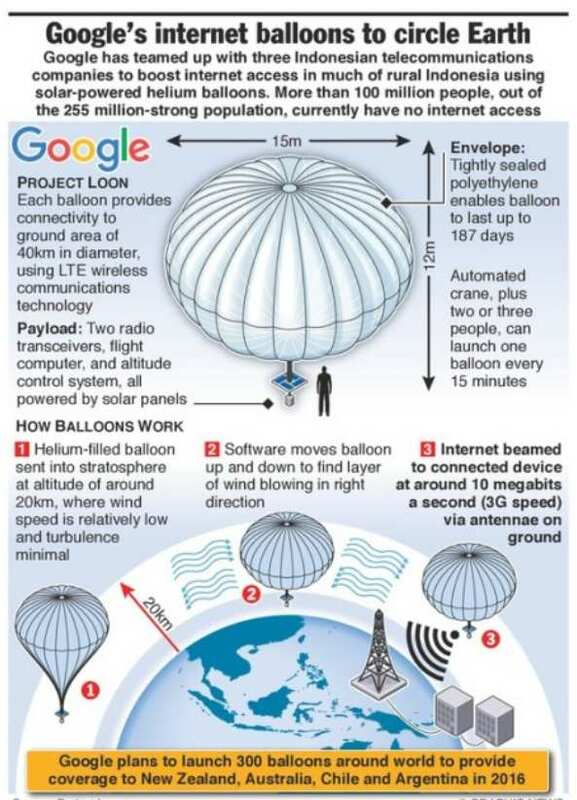 It is also poses serious questions of it’s geopolitical implication .Google is dominant in the internet arena and the invasion of “Right to Privacy” is a serious concern.This balloon can act as the eye on the sky owned by a particular private organization. And, in the age of “Data” , project of this magnitude should be understood and analyzed properly , else in the garb of science we might loose our edge on National security and our National interest might be subjugated.Hence for a project of this nature , while one can happily embrace science , one must be cautious about it’s future implications , and then there is the larger question of cyber terrorism – which has potential to bring a country to it’s knees . We know that blocking river water , putting economic sanctions or withdrawing diplomatic support has been the way of exercising geopolitical power , however , in the age of data – it will be of no wonder , if internet blackout is used as tool of geopolitics and this project and implication , thus needs a holistic understanding from various arena – policy maker, cyber expert, scientist, physicist, climate engineers etc. Raghuram Rajan has been elected vice-chairman of the Bank of International Settlement (BIS). Mr. Rajan will have a three-year term as vice-chairman of the BIS. The mission of the BIS is to serve central banks in their pursuit of monetary and financial stability, to foster international cooperation in those areas and to act as a bank for central banks. (For e.g.- The way RBI in India looks after monetary policy and liquidity , in the same way , in a globalized and interconnected economy, which has few reserve currency and most payments are made in dollar , it is necessary to have an institution such as BIS , which looks after global liquidity and stability of global monetary policy. The Treaty of Versailles was one of the peace treaties at the end of World War I. It ended the state of war between Germany and the Allied Powers.The condition of this treaty was too harsh upon the German (huge monetary penalty was imposed on German to pay to other countries , for being an aggressor ) and many historians claim that the seeds of World War II and rise of Hitler were sown with the imposition of this treaty. Note – Largely news of this nature is mostly fodder material for other recruitment exams and not for UPSC. However , the burden of UPSC aspirant is to know everything , if not in detail , at least in principle.As many aspirants rely upon us, we can’t discredit news like this , even though we believe it may not be as useful. We request you to go through the literature at least once. One never knows how it might help. If it does not help in prelims, it might help in adding points to your Mains answer, as in this case for Indian Aviation sector . The Indian delegation representing Ministry of Civil Aviation participated in the Conference and negotiated with the delegations from 11 countries. During these negotiations,“Memorandum of Understanding (MoU)” was signed with six countries namely Finland, Kazakhstan, Kenya, Sweden, Norway &Denmark, Oman and Ethiopia and “Agreed Minutes”with Serbia, Greece, European Commission and “Record of Discussions” with Brunei Darussalam and Qatar. 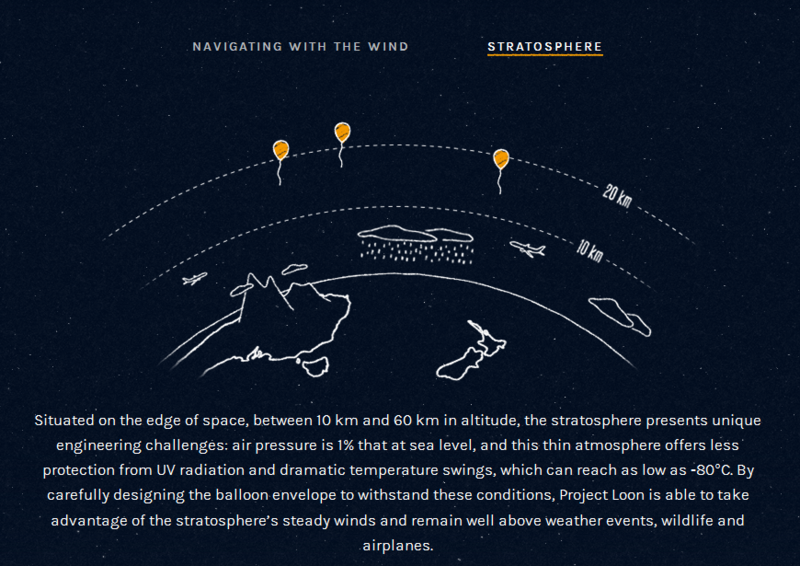 The website is launched in the run up to upcoming “Paris Conference”. Rules and regulations governing the exchange of plant parts and tissues, and export of research material, including seeds, need to be clear. 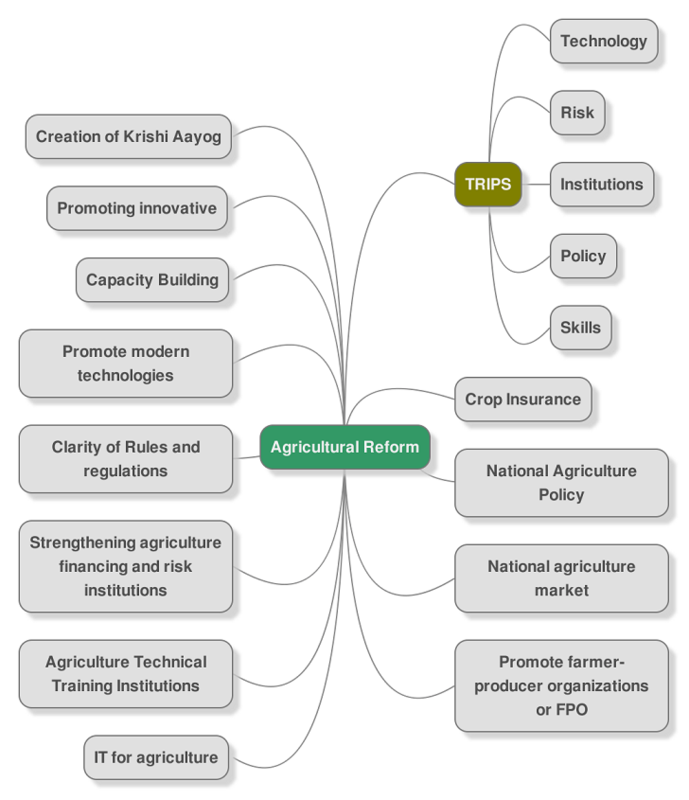 Crop Insurance:-The new crop insurance scheme should be based on a financially sustainable model. It should gain farmers’ trust through science-based, fast and affordable crop insurance. For this to be effective, farmers’ land records should be digitised through handheld GPS, leveraging technologies like drones, radar-based sensing and low earth orbits to monitor and assess crop damage in real-time, plus crop modelling for each block on the basis of weather parameters. The insurance product should cover market risks for all crops. There is an urgent need to actively promote farmer-producer organisations or FPOs and start a concept of Agriculture Technical Training Institutions on the lines of Industrial training Institutes (it is) to train rural youth in modern practices and in entrepreneurship. Use IT for agriculture, wider dissemination of crop insurance, rapid financial inclusion can go a long way in risk mitigation.